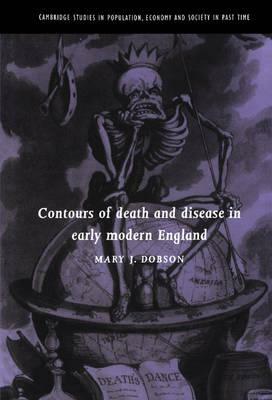 This 1997 book provides a penetrating account of death and disease in England during the seventeenth and eighteenth centuries. Using a wide range of sources for the south-east of England, the author highlights the tremendous variation in levels of mortality across geographical contours and across two centuries. She explores the epidemiological causes and consequences of these mortality variations, and offers the reader a fascinating insight into the way patients and practitioners perceived, understood and reacted to the multitude of fevers, poxes and plagues in past times. She examines, in particular, the significance of malaria in English demographic history, and provides a detailed account of the history of this once endemic disease. This broad-ranging and stimulating study will be of interest to historical demographers, medical historians, geographers and epidemiologists. List of plates; List of figures; List of tables; Acknowledgements; Introduction; Part I. Landscapes of the Past: 1. Airs, waters and places; 2. Regional and local settings; Part II. Contours of Mortality: 3. Geographical patterns of mortality; 4. Geographical rhythms of mortality; Part III. Environments and Movements of Disease: 5. The spectrum of death, disease and medical care; 6. Marshlands, mosquitoes and malaria; 7. Crises, fevers and poxes; Part IV. Contours of Death: Contours of Health: 8. The epidemiological landscapes of the past; Bibliography.